Choreographer Jacky Lansley has been practising and performing for more than four decades. In Choreographies, she offers unique insight into the processes behind independent choreography and paints a vivid portrait of a rigorous practice that combines dance, performance art, visuals and a close attention to space and site. Choreographies is both autobiography and archive—documenting production through rehearsal and performance photographs, illustrations, scores, process notes, reviews, audience feedback and interviews with both dancers and choreographers. Covering the author’s practice from 1975 to 2017, the book delves into an important period of change in dance as an art form—exploring British New Dance, postmodern dance, and experimental dance outside of a canonical US context. 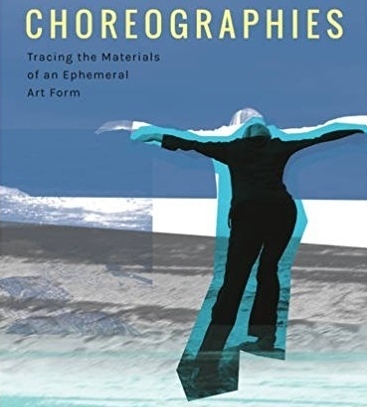 A critically engaged reflection that focuses on artistic process over finished product, Choreographies is a much-needed resource in the fields of dance and choreographic art making. To purchase a signed copy please contact info@danceresearchstudio.com. The article discusses the extraordinary time of ferment in British dance in the late 1970s and 1980s and the significant role played by the ‘axis’ between Dartington College of Arts and the London-based X6 Dance Space. 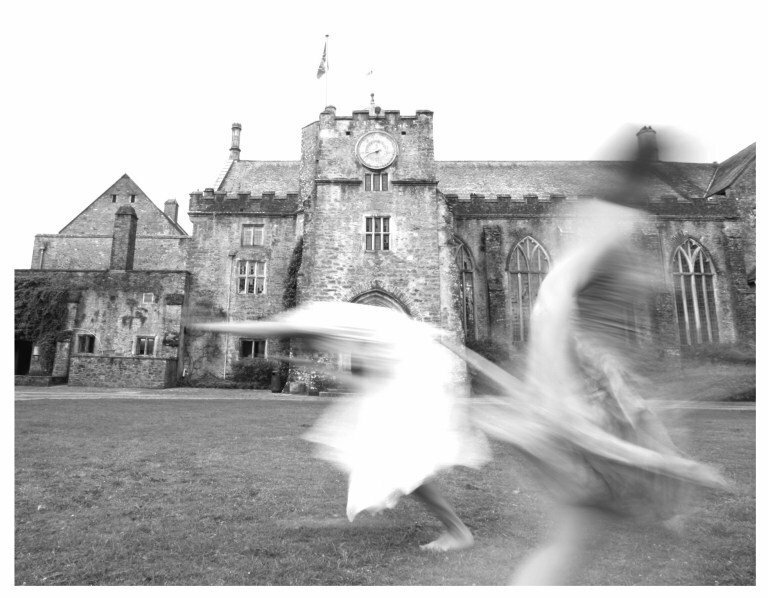 This relationship centred upon members of the X6 collective and Mary O’Donnell Fulkerson, the dance leader in Dartington’s Theatre department, as well as other visiting US and European artists and teachers. The importance of X6 as a platform for radical and innovative dance and performance is discussed, as is its role in hosting the first London workshops in Release (Fulkerson) and Contact Improvisation (Steve Paxton and Lisa Nelson). Critical connections are revealed between X6 and the Dartington Dance Festivals, together with the part played by X6’s quarterly magazine, New Dance. The special issue reflects the diversity of art forms, writing registers, pedagogies and images for which Dartington was renowned, and includes contributions on and from: Peter Hulton on context and development of DCA, Chris Crickmay on Arts & Context, Jacky Lansley and Fergus Early on the Dance festival and X6, a roundtable reflection on Music, Gregg Whelan (Lone Twin) on Performance Writing, as well as multiple images and voices included in Donna Shilling’s record of the walk back to Dartington and Kevin & Kate Mount’s timeline photo essay. 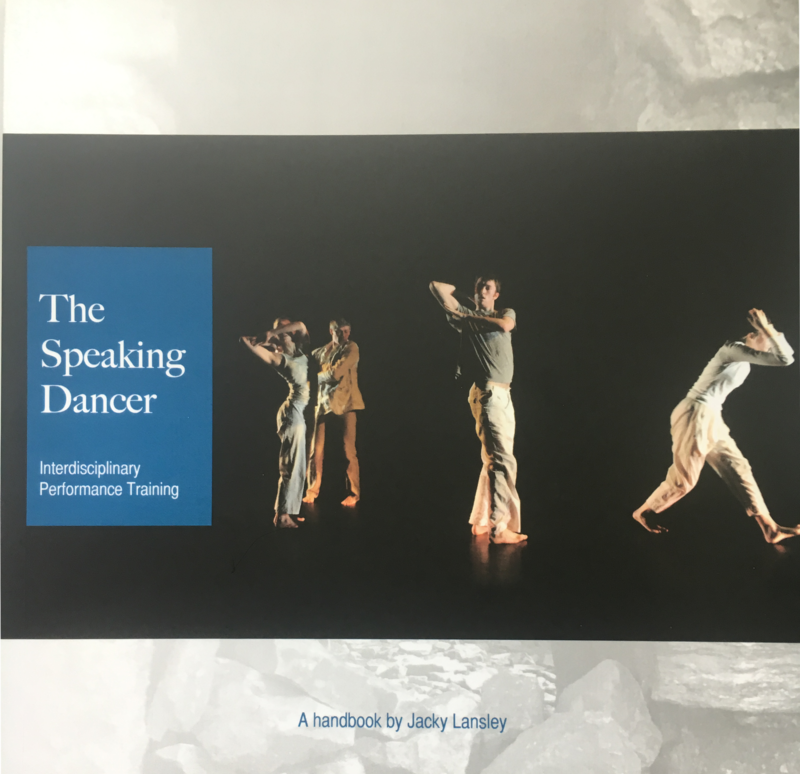 The Speaking Dancer: Interdisciplinary Performance Training (SDIPT) is a unique professional development programme which offers students to opportunity to rethink their relationship to their practice, and begin to frame concerns about disciplinarity in a broader context. The programme introduces cross disciplinary training methods and stimuli which support the artist as both performer and ‘author’. The programme is structures over weekend modules enabling accessibility and flexibility for working practitioners. Spread across urban, coastal and rural contexts, the programme gives participants the opportunity to engage with a range of landscapes and communities and consider creative approaches to performance practice across these different environments. This handbook outlines key concepts and exercises for student preparation for the course’s four modules: The Interdisciplinary Performer; Improvisation and Emotional Embodiment; Visual Language and the Performer; and, The Choreographic Exchange. In The Wise Body, choreographers Lansley and Early interview twelve distinguished dancers who continue to enjoy exceptionally long performing careers. 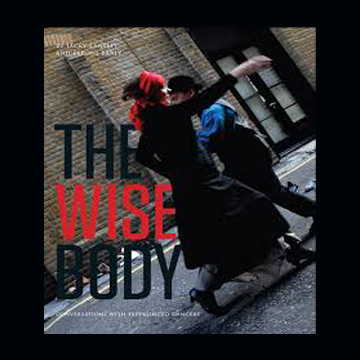 The essays reflect wide-ranging concerns, and connect the experiences of senior practitioners in areas as diverse as health, philosophy, psychology and cross art form research, giving an extraordinary picture of the worldwide network of independent dancers and their practice. Contributers: Philippe Priasso, Lisa Nelson, La Tati, Julyen Hamilton, Yoshito Ohno, Steve Paxton, Jacky Lansley, Will Gaines, Jane Dudley, Pauline de Groot, Bisakha Sarker, Fergus Early.